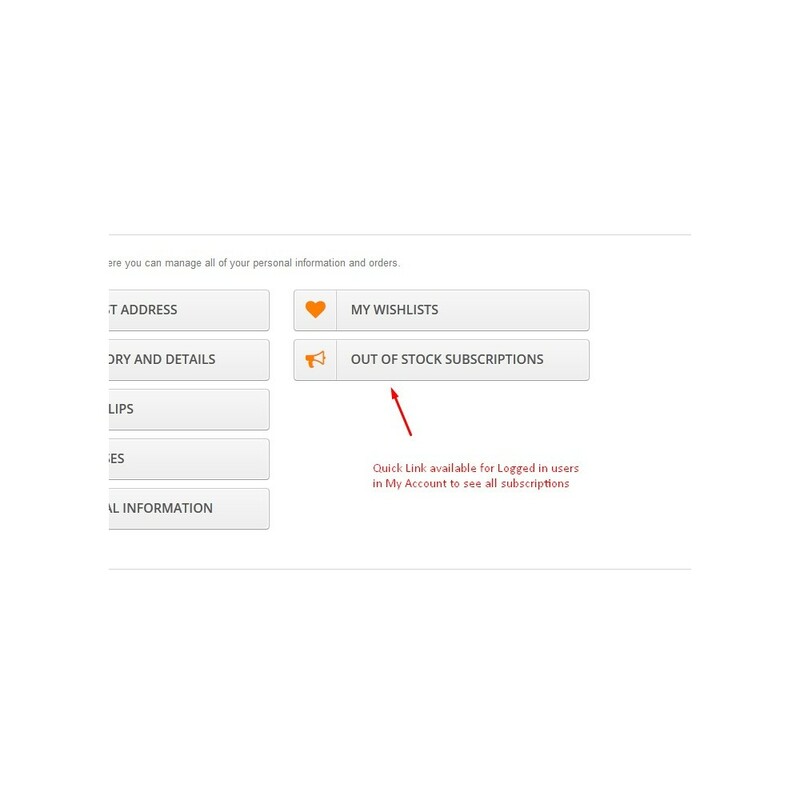 Allows your customers to subscribe for their favorite products when they are out of stock so they are notified when product is back in stock. 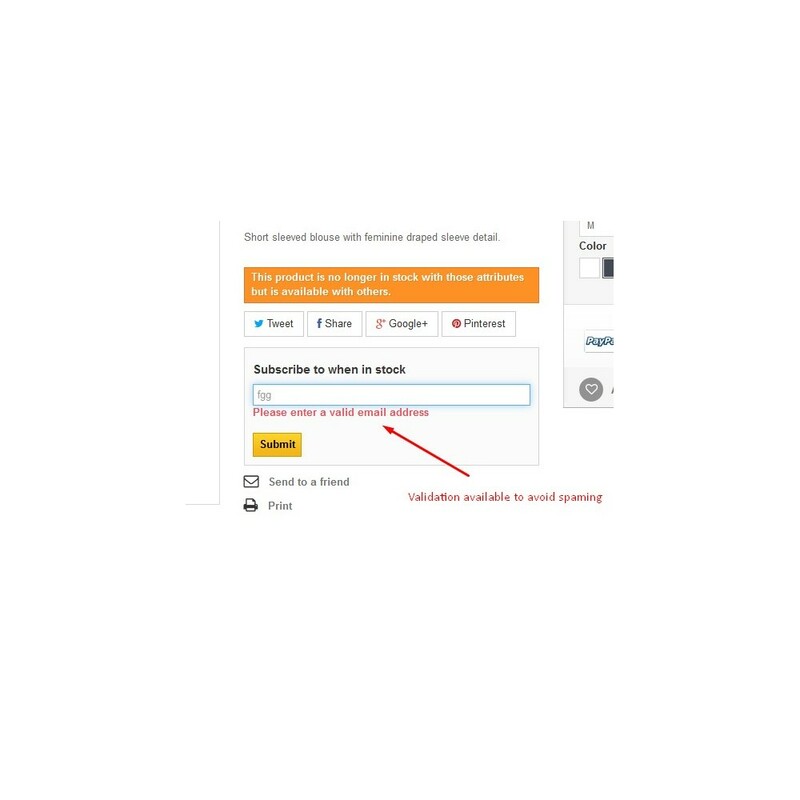 This usefull module allows you to get most of your customers by encouraging them to subscribe for out of stock product(s) so they are not disappointed if a product they like is not in stock. 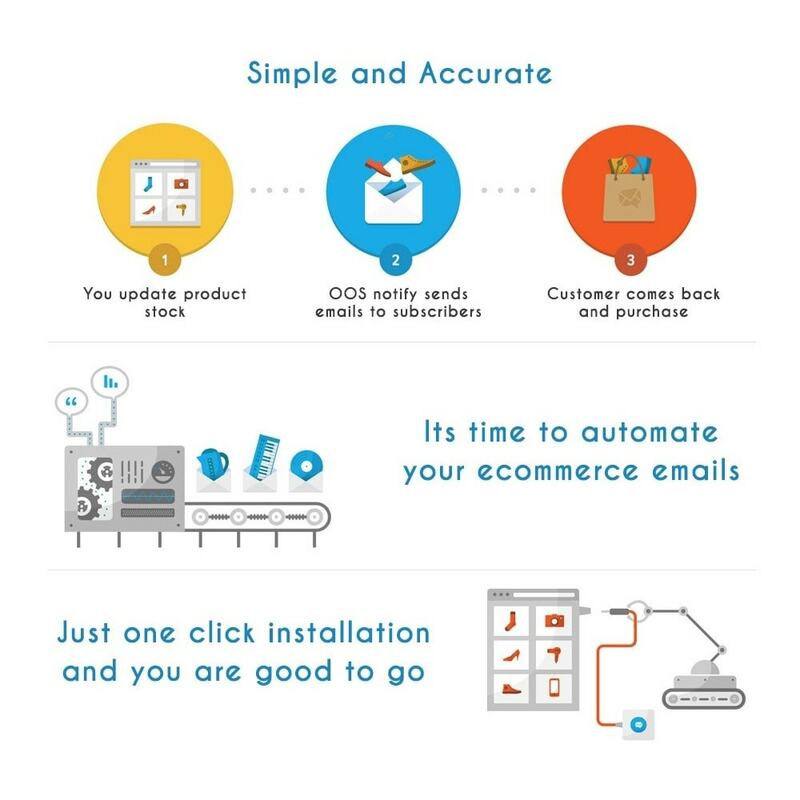 An automated email is sent after product is back in stock so they can purchase them. 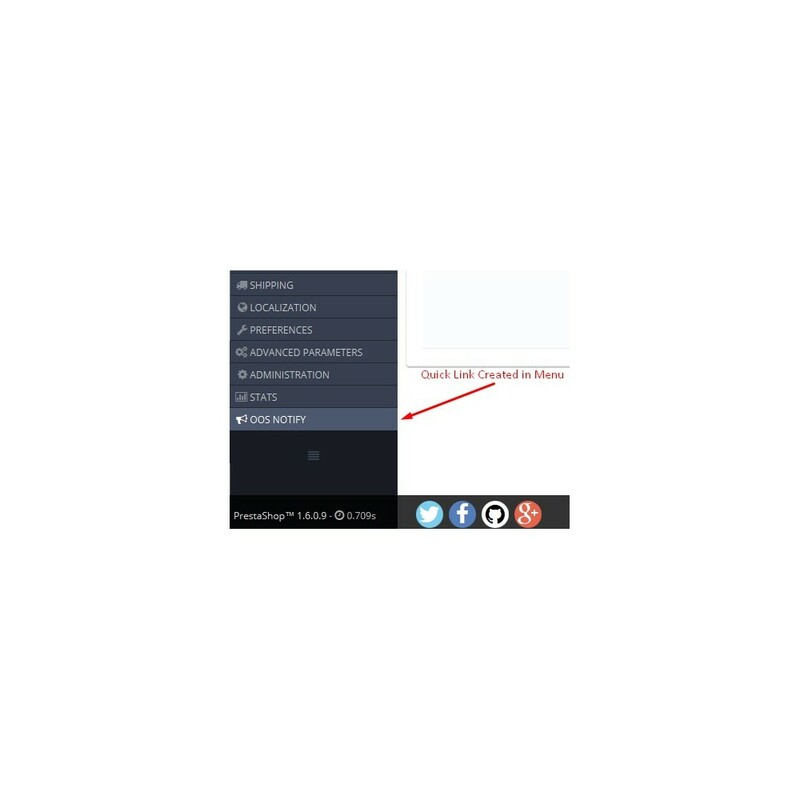 Ajax Base subscription form on frontend, faster to process. Cron job link available if you are using CSV or DB edit to update product stocks. 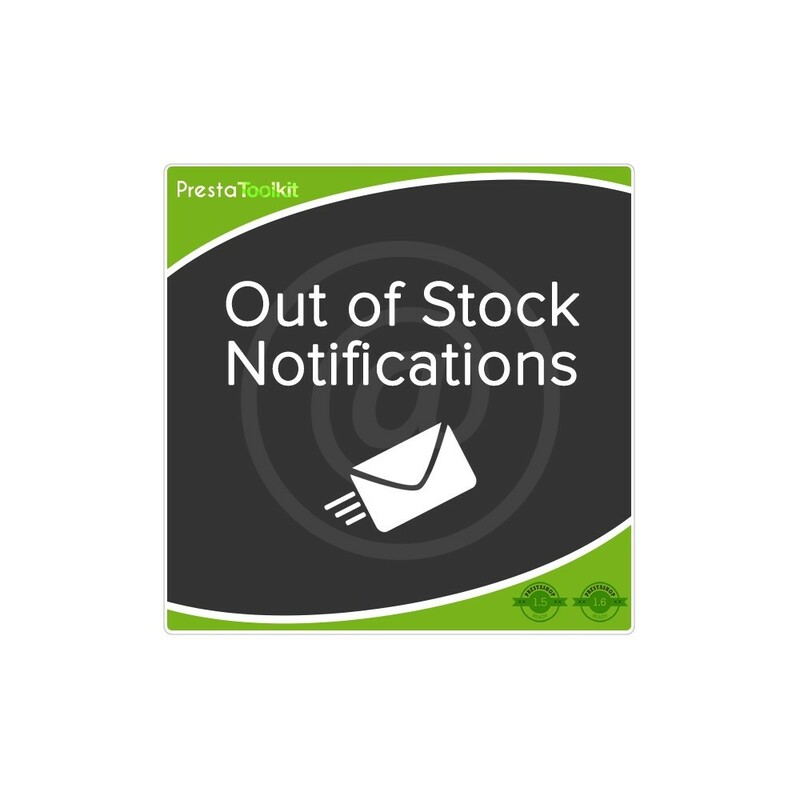 Automated email is sent when product is back in stock. 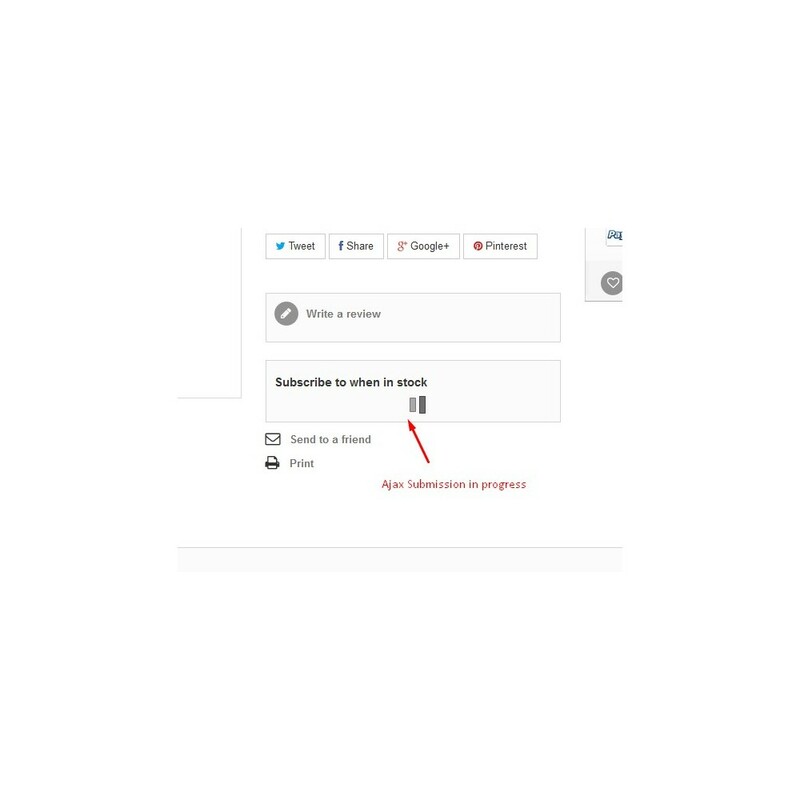 Manual stock update button available if automated system missed any subscriber. 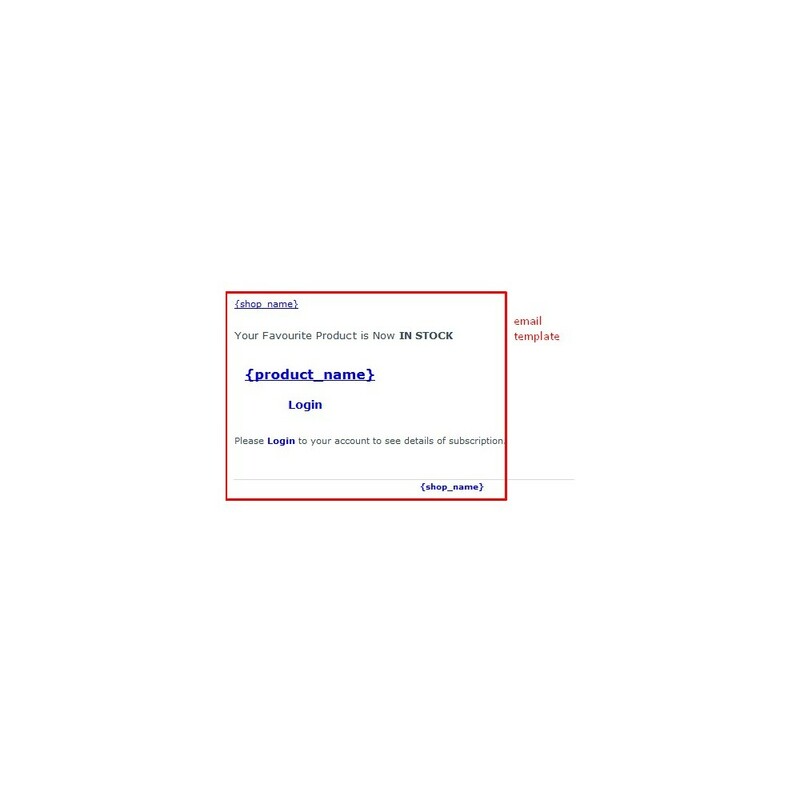 Listing are saved with product attributes names if any available. 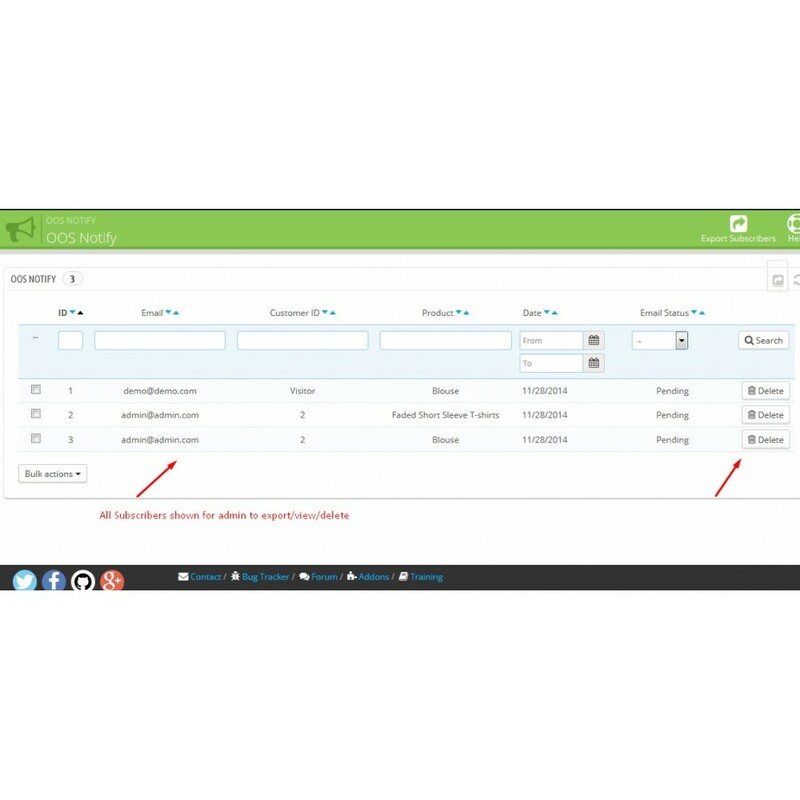 Admin can also export list of subscribers as csv file. 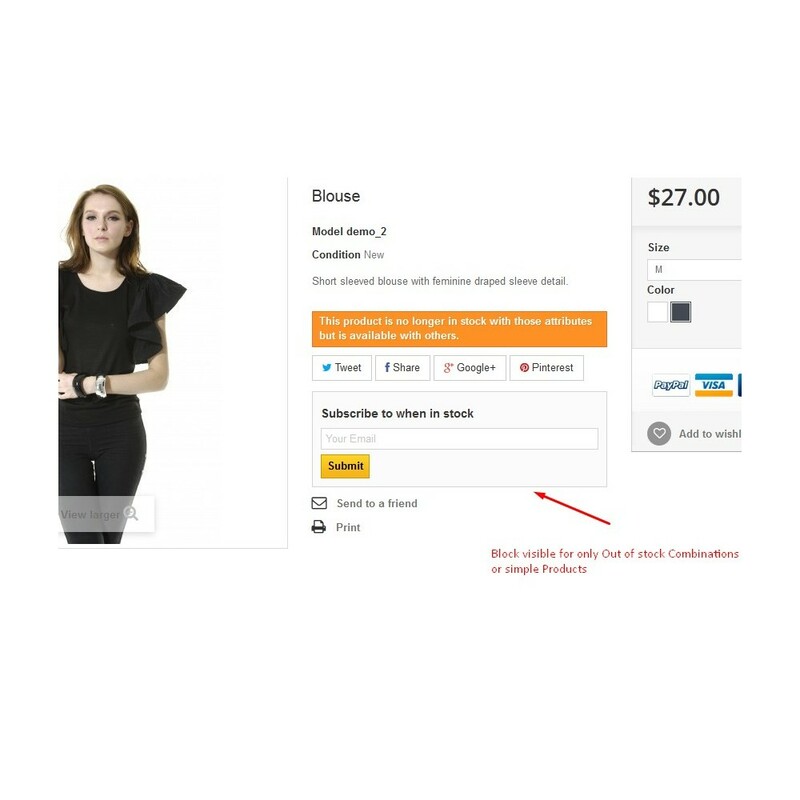 Customer/Visitor can subscribe to multiple products or combinations. 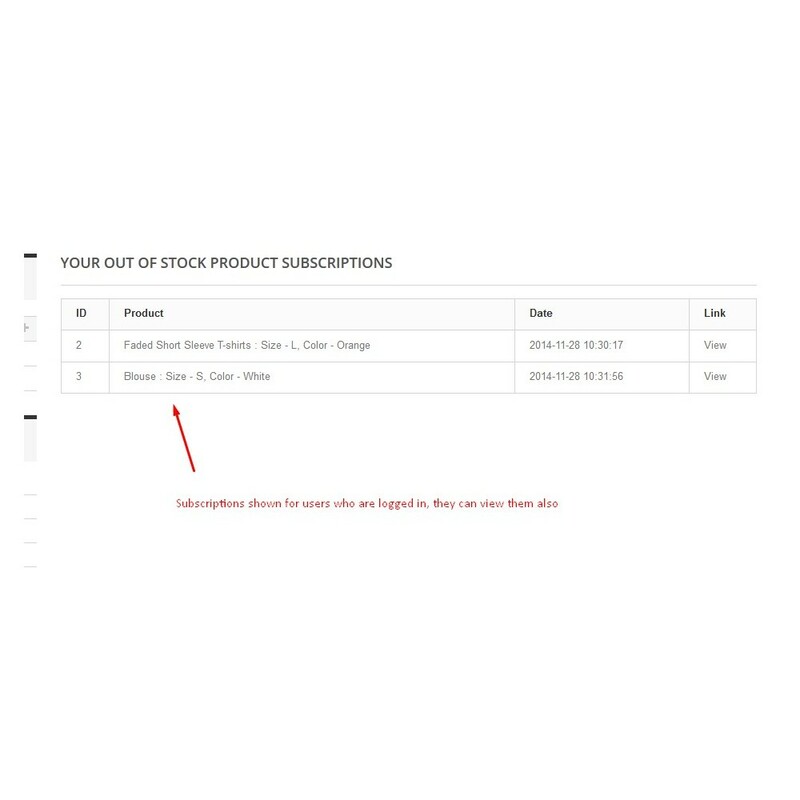 Customer can not subscribe to same product twice. Customer can view all their subscriptions in my account. 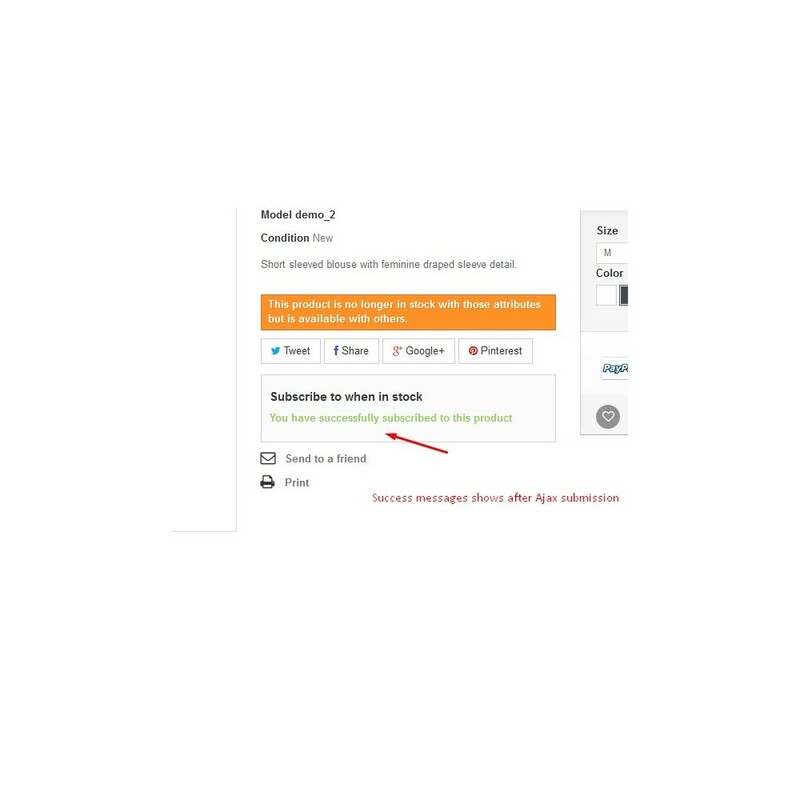 Visitors can also subscribe without creating account. Validation process ensures to avoid any spamming attempts. Really helpful product and works well.